The historical center of Athens is ideal for strolls and sightseeing walks. 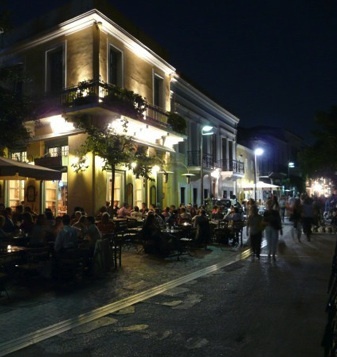 The picturesque neighborhoods of Plaka, Thisseio and Monastiraki, with their flea markets and antique shops, beautiful neoclassical buildings and stone-paved little streets, offer a unique oasis right in the center of Athens town. Countless tavernas with delicious local cuisine, awarded gourmet restaurants, coffee shops, little bars and trendy dance-clubs, remain open and busy all year long for the entertainment of locals and visitors. Athens is a heaven for shopping addicts and the most important shopping spots can be found all around the city. Right in the center of Athens town, all major stores and shops are on Ermou street and on the smaller streets around it. 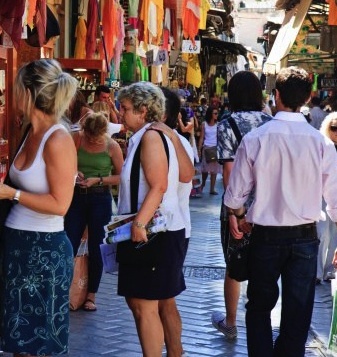 The more aristocratic neighborhood of Kolonaki, on the other hand, holds the crown for vip shopping: visitiors can find expensive shops, international brand names, in a mingle of neoclassical architecture and modernity. The most trendy coffee shops, bars and premium restaurants can be found around the streets Kanari, Patriarchou Ioakeim, Tsakalof, Anagnostopoulou and Skoufa. 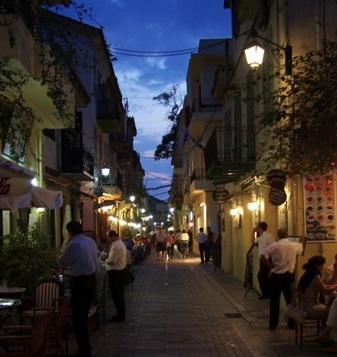 Equally important in size and quality, are the shopping areas in the center of Glifada, of Kifissia, and Pireas. 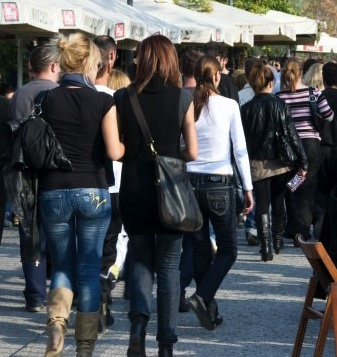 During the last years, big shopping centers and malls have become increasingly popular also in Athens. Mall of Athens was the first shopping mall to be built in Athens, hosting a large number of shops, restaurants, cinema, a bank, a post office, a hair salon and a big super market. 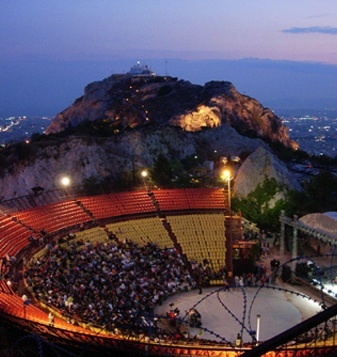 Athens hosts a multitude of cultural affairs and activities every day, all year long, winter or summer. Concerts, expositions, ballets, book presentations… Discover the activities that fit most to your interests through the city’s guides online or in the printed versions that can be bought. At Megaro Mousikis, one can enjoy classical concerts from internationally renowned solists and orchestras, while a great number of art exhibitions take place in the numerous galleries and cultural spaces around the city, book presentations are hosted in large bookstores and concerts and sports events are on the city’s every day agenda! 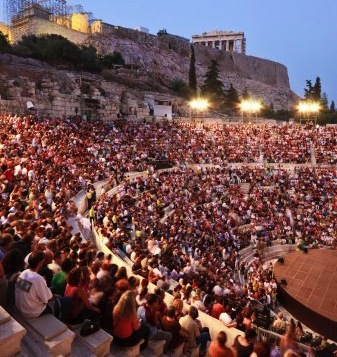 Last but not least, Athens has surprisingly many cinemas and theater houses. During the summer, open-air cinemas are extremely popular, and a very special experience. Imagine watching a movie right in the city center, under the star lit sky, accompanied by a glass of wine or a cold refreshing beer. As a last tip, we propose you visit the top of Lycabettus hill, from where you can enjoy the most impressive view of the city of Athens. Especially at night, the view is magical! Right on the top of the hill, there lies also the Lycabettus open-air amphitheatre, where many important concerts take place every summer. You can reach the top of Lycabettus by taxi, bus or the small funicular cars!